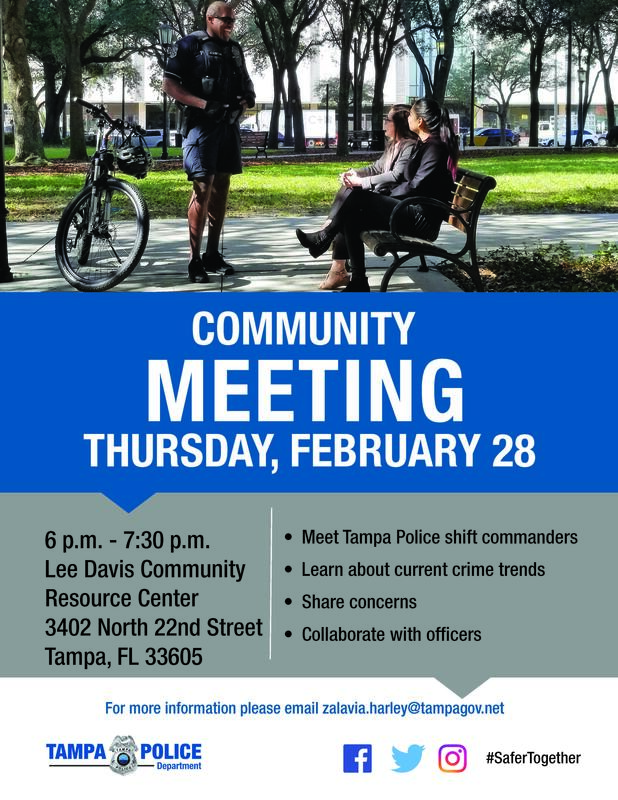 A District Three Community meeting will be scheduled for Thursday, February 28th at the Lee Davis Community Resource Center. Meet Tampa Police shift commanders. Learn about current crime trends.